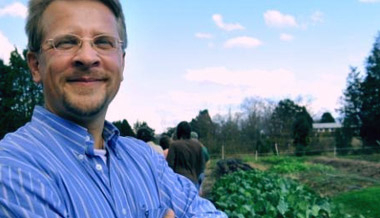 Norman Wirzba is Research Professor of Theology, Ecology, and Rural Life at Duke Divinity School. Norman Wirzba pursues research and teaching interests at the intersections of theology, philosophy, ecology, and agrarian and environmental studies. In particular, he focuses on understanding and promoting practices that will equip both rural and urban church communities to be more faithful and responsible members of creation. Current projects focus on eating as a spiritual discipline, theological reflection as informed by place, and agrarianism as a viable and comprehensive cultural force. Dr. Wirzba has published The Paradise of God: Renewing Religion in an Ecological Age and Living the Sabbath: Discovering the Rhythms of Rest and Delight. His most recent book is Food and Faith: A Theology of Eating. He also has edited The Essential Agrarian Reader: The Future of Culture, Community, and the Land and The Art of the Commonplace: The Agrarian Essays of Wendell Berry. Professor Wirzba serves as general editor for the book series Culture of the Land: A Series in the New Agrarianism, published by the University Press of Kentucky. Norman Wirzba suggest churches should grow food. Go outside into the world.